Easyjet check in problems? Can't print your Easyjet boarding pass? Online check-in, luggage, allocated seating -F.A.Q'S. Online check-in FAQ's Easy jet correct as of the 14/11/13 information has been provided for your guidance only and was correct at the time of writing. How do I check-in online with Easy Jet? Option 2. Visit Easy Jet's website direct. Select manage my booking or check-in now. You should also find a link on your booking confirmation email provided by Easy Jet. Follow the step by step instructions provided. Alternatively request a call back from us now and we will store your future travel dates and check you in once the check-in facility window is available with your airline. Online check-in facility is available from 30 days up to 2 hours prior to your Easy Jet scheduled flight departure. When can i check-in online with Easy Jet? How can I check-in online if I have no Internet access? If you have no internet access and are struggling to check-in, rather than spending your holiday searching for an internet café you could just send Check-in Pal your travel dates and relevant information and we will take care of your check-in process for you and send you your boarding pass anywhere in the world! 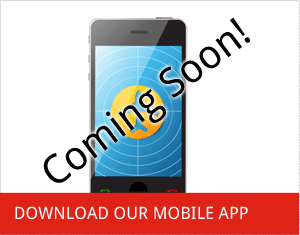 Check-in Pal aims to get your boarding pass to you as quickly as possible. We can send your new documents or boarding pass to anywhere in the world. So whether it’s to your home, or your holiday destination, we have delivery options to suit all. I have no printing facilities and cant print out my boarding pass. I need to re-print my boarding pass as I have lost it, how can this be done? Don't panic you can reprint your boarding pass under the My Easy Jet option via their website. You will of course require an internet and printer access. Check-in pal is always here to help by offering a re-issue boarding pass service. Our re-issue boarding pass option puts your boarding pass in your hand quickly as we send it direct to you by your chosen delivery method(uk or overseas). 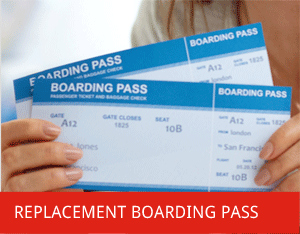 Our re-issue service starts from £2.99 pp per boarding pass. We even offer an emergency call back service for those requiring immediate assistance day or night. For a small fee this option secures a call back in minutes! Can I change my booking once I have already checked-in online with Easy Jet? Yes, bookings can be amended up to 2 hours before your scheduled flight departure time. Changes with Easy jet are usually subject to a fee and availability. 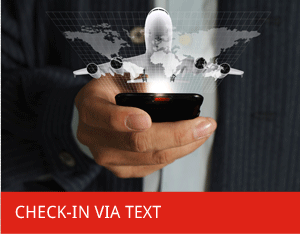 Check-in pal can take care of your booking/flight amendments. We offer: Change flight, date, route, Name, in-flight meal and additional baggage to mention a few. Our Amendment fees start from only £1.99 pp per flight + your airline's amendment fee. 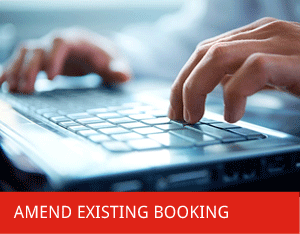 Click here for more details on booking/flight amendments. Where changes have been made you must remember to reprint your boarding card/pass to reflect the new changes.When using check-in pal for this service we send you all of your boarding pass or travel documents ensuring your ready to simply board your Easy Jet flight. How do I change a flight date, name, route with Easy Jet? Easy Jet passengers may change their flight dete or make a name change up to 2 hours prior to your Easy Jet scheduled flight departure time. Easy Jet passengers may change their flight date or make a name change up to 2 hours prior to their Easy Jet scheduled flight departure time. + A fee depending on card choice of 2.5% or more of total value. We even take care of all the required paper work and send it direct to you(uk or overseas) ensuring you have all of the relevant flight documents to simply board your Easy Jet flight. How much can my hand luggage/ cabin baggage weigh and what size can it be with Easy Jet? Only one piece of hand luggage, cabin baggage is allowed. Currently with Easy jet there is no weight restrictions. Cabin baggage will be checked for its size by a baggage gauge at the baggage drop off desk and boarding gate. Please note bags exceeding these size dimensions will be subject to a penalty of £25 at the baggage drop desk and £40 penalty at the boarding gate where it will be placed in the aircraft's hold. With penalties like these its cheaper to add a bag rather than taking a chance. 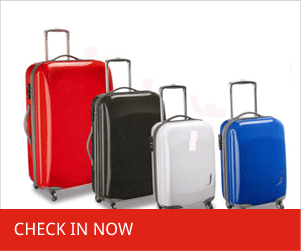 Check-in pal offer an add additional baggage service from only £1.99 per bag one way + Airline's baggage fee. What is EasyJets hold baggage allowance and weight restrictions? Hold baggage is defined as large items such as suitcases, rucksacks, large sports equipment, musical instruments and infant equipment. Easy Jets standard hold baggage allowance is 20 kg per passenger regardless to the number of bags purchased. This weight restriction can be increased if you pre book excess weight online for £21 per every 3 kg of additional weight per flight. You can increase up to a maximum weight of 32kg. As excess baggage is currently charged at £11 per kg its best to get it right from the start. Let check-in pal take care of your baggage requirements with our additional baggage service. We can add baggage to your existing booking from only £1.99 per bag per flight +Airlines fee, when combining our check-in service or £3.99 per bag per flight on our stand alone service + Airline fee.Same restrictions applies to sporting equipment and musical instruments. How much does it cost to add hold baggage or sports equipment to an easy jet flight and how can this be done? £25 online or £40 via Easy jet check-in desk or their call centre. Allows 20kg weight as standard. You can purchase a sports equipment package for £27 online or £35 at the Airport providing an additional 12 kg on top of your standard 20 kg. Did you know! it works out cheaper via check-in pals call centre than Easy jets? For a start, we offer a free call back service. Our fee for additional baggage starts from only £1.99 per bag per flight when combined with our check -in service or £3.99 on our stand alone baggage service (+Airline fee). We even print and send your new boarding pass too. Click her for more information on our baggage service. Can I change my booking to include allocated seating with Easy Jet? Check-in pal can arrange this for you for a small fee of only 99p per person per flight( + your airlines fee).